Do you want background colour, do you want something warm and vibrant? Do you want to make a statement? Or do you want a mixture? What do you really feel comfortable with? For me colour effects is one of the most cost-effective tools I have at my disposal to transform a room. We can use paint to add interest. 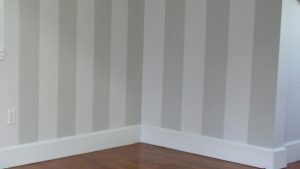 We can use paint to create broad stripes, usually vertically, this adds texture, interest, warmth and depth. This works especially well in a hall, stairs and landing area. Without the use of expensive wallpaper we can create a very luxurious look and style in any room, particularly in the bedroom. 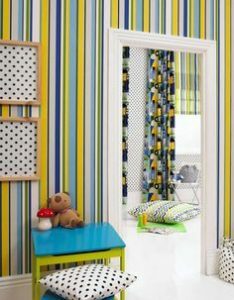 In a child's room it add bursts of colour and fun. I usually use a neutral tone with a slightly deeper shade to create a chique modern tailor-made colour scheme for your rooms. Talk to me about using colour in both dramatic and traditional ways - Call me on 01 924 3675 or email me here. 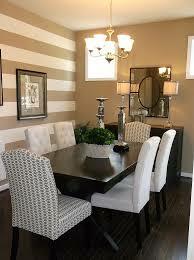 Using large horizontal stripes right away around a room pulls the room together in a very blended and peaceful way. 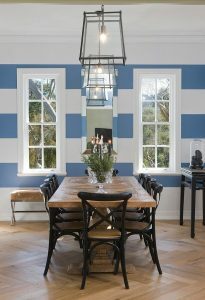 Run large horizontal stripes behind a display unit. Maybe using the same colour to create a feature wall behind the fire place. This can really pull the colour theme together. 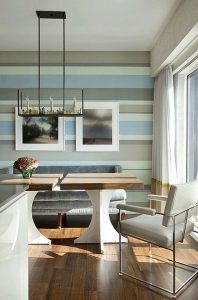 Large painted colour stripes can work very well in a dining area of a room to bring the areas together - similarly with a recess alcove. 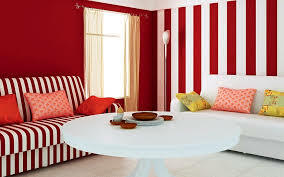 It also allows you to bring a modern twist to traditional furniture and room. 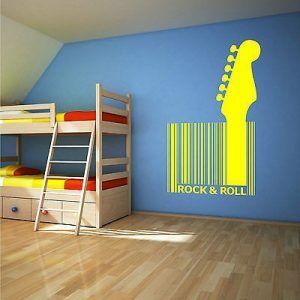 Barcode colour is also a great way to add life and a modern look to any child's room. It also works great in TV rooms, family areas and play rooms. On a limited budget? Talk to me about using colour in both dramatic and traditional ways to transform your home - or even for starters just one room. Call me on 01 924 3675 or email me here.